I'm having a day full of renovation and decoration regrets, second guessing. and indecision. Those shadow boxes that I made for the bathroom? I have no idea where to put them. I bought a print off of Etsy that I adore (this one! ), but it's too small for where I had originally planned to put it - over the toilet. So now it's living in the narrow space between the laundry machines and the window, where the shadow boxes were originally going to go. Also, one entire section of the bathroom is driving my loopy. We should have bought a bigger vanity. This whole bathroom renovation is turning into a lesson on how to not renovate; more specifically, don't go to the store without your measurements in hand. 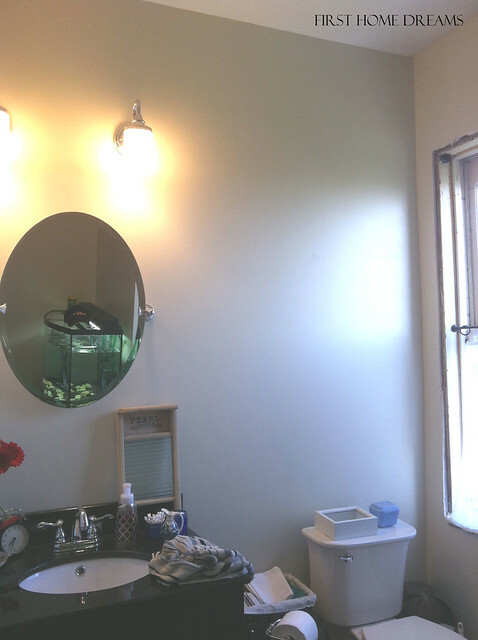 But I should probably wait until I figure out what to do about the 20" gap between the vanity and the toilet. 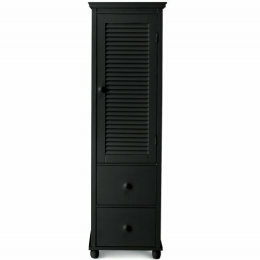 I'm thinking of some sort of small linen cabinet, along the lines of this guy. 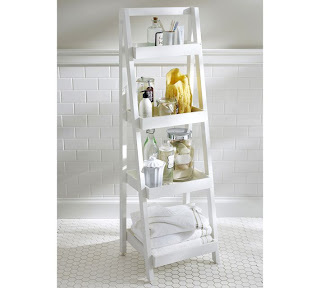 Or this...but it might be too cottage-y for the room. And we would be hopeless at keeping it organized and looking nice. But then again, a laundry hamper would probably fit perfectly there (the laundry bag that I bought turned out to be a bust). If I chose to throw in a laundry hamper, then I could put something like this up on the wall to at least gain a little bit of storage. 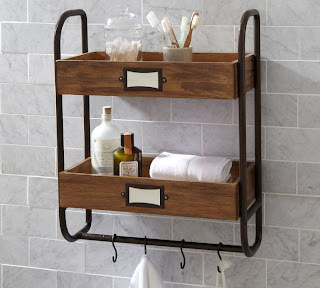 This wood and black iron-esque shelf tugs at my heart strings, but this sophisticated option is a stunner too. 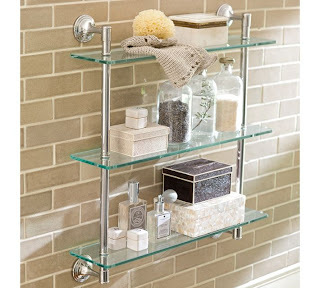 Apparently, Pottery Barn is today's answer to all of my bathroom woes. Oh! 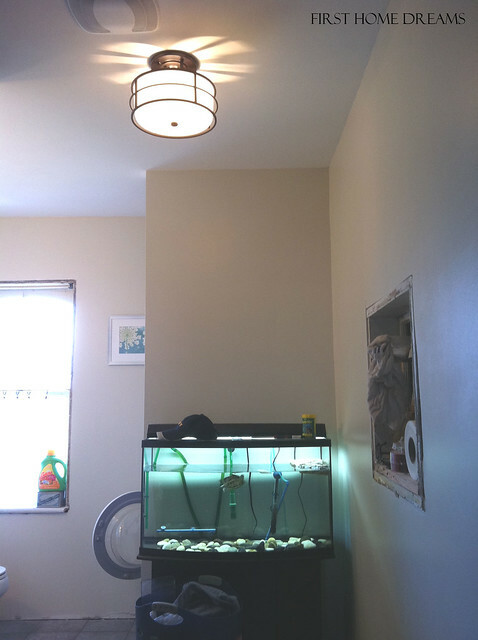 There's our ceiling light that I haven't shown you yet. It's kind of like a spaceship.